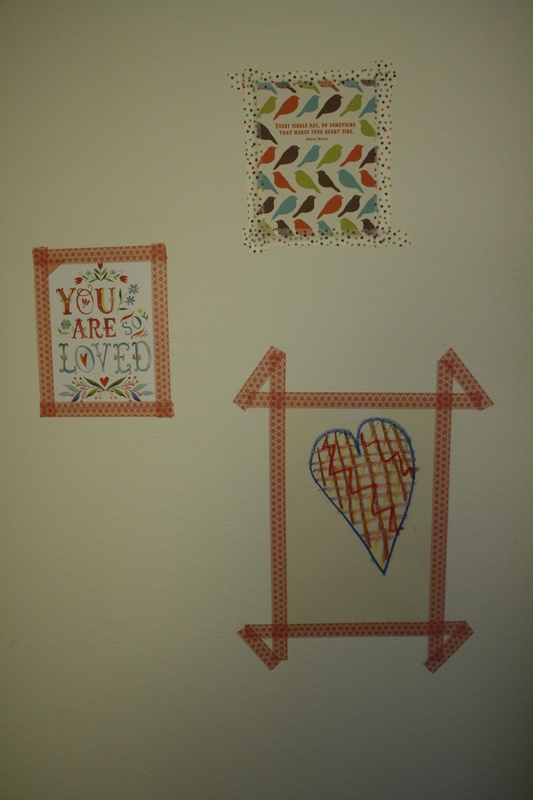 I am in love with WASHI tape. 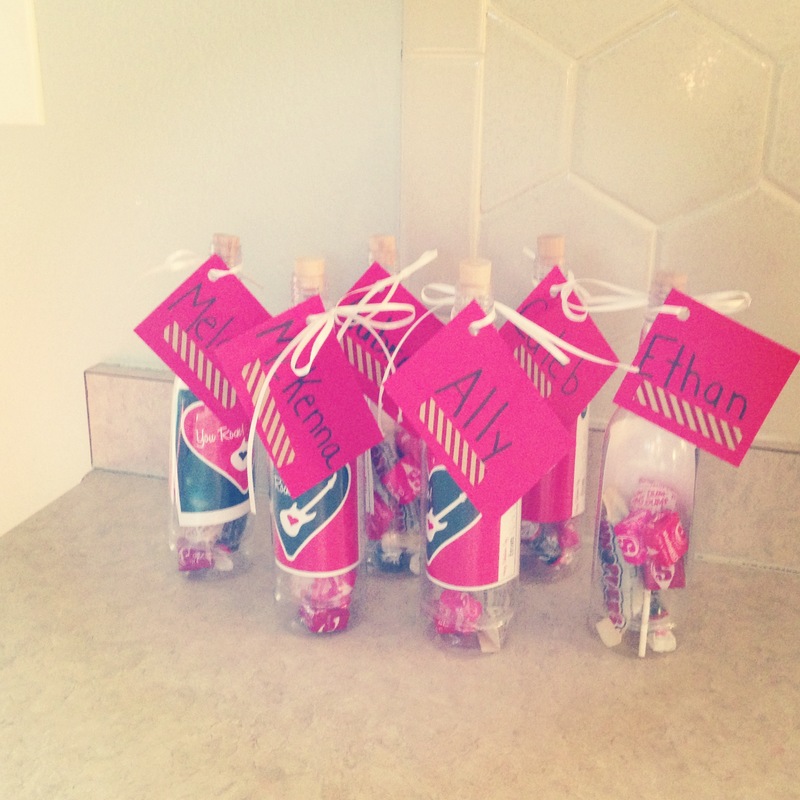 I use it on little gifts, like these message bottles I put together for N’s friends for Valentine’s Day. 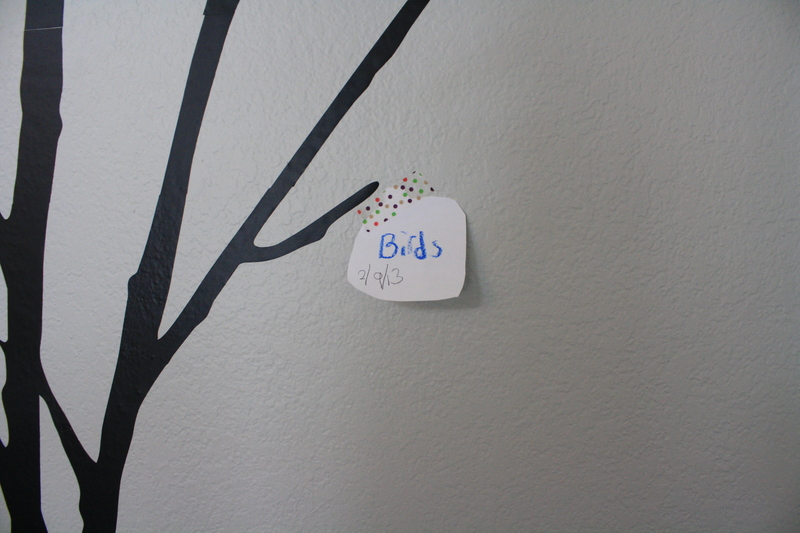 I wrote a post about how I use it here on our Reading Tree. I used it at Christmas time to make my N an Advent Calendar. 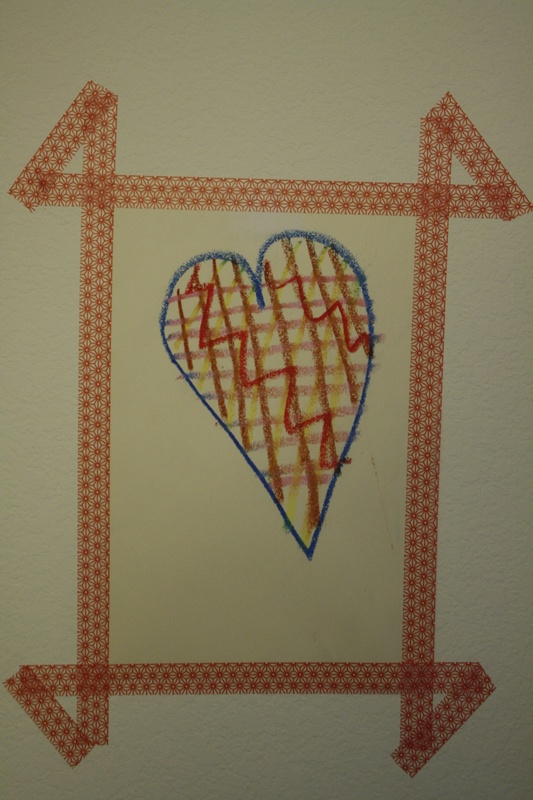 When N’s grandmother and great grandmother visited from Florida during Thanksgiving, I used Washi tape to welcome them. 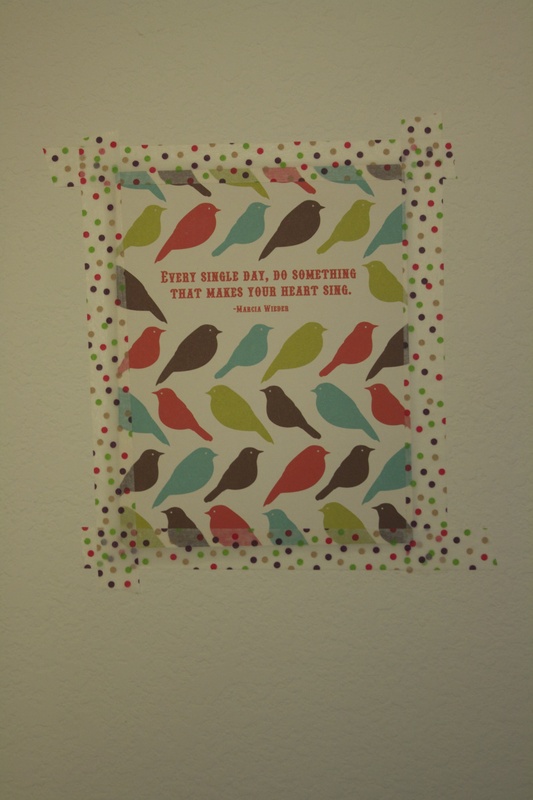 My latest Washi inspiration came from a pin I posted on Pinterest. 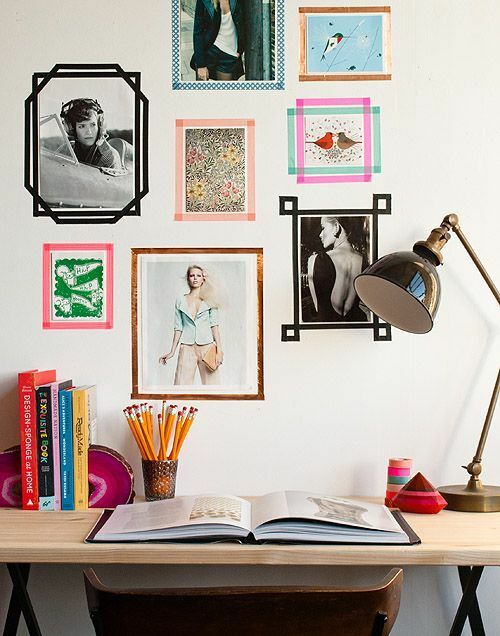 This creative person used Washi tape as an inexpensive, simple picture frame. These are so cool! So, I decided to use this idea in my guest bedroom. So, I grabbed a card that inspires me, a picture that my son created, and a Katie Daisy print. 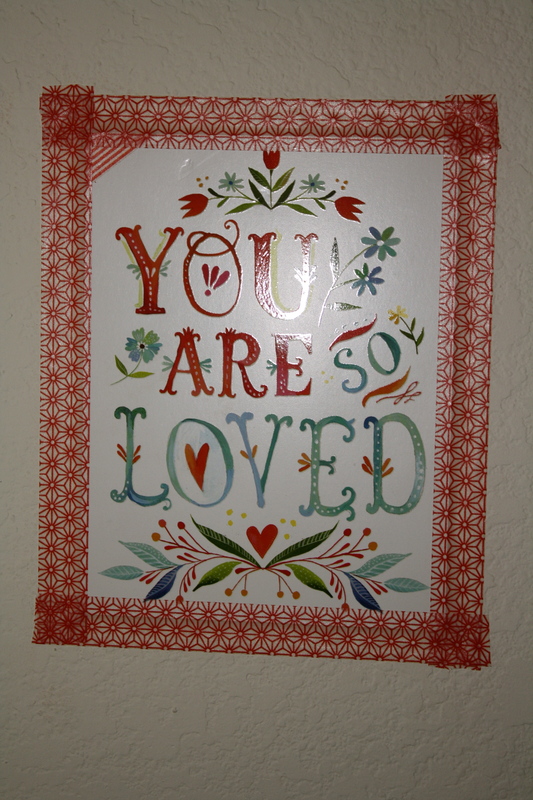 I then grabbed my washi tape that I had on hand and began taping. Here is how they all look together. I think my guests will enjoy this artwork display. It will show them that they are welcomed and loved. Hopefully, it will make them smile as much as it makes me. Sometimes, it is just the little things. Do you love washi tape? What uses have you found for this amazing tape? Do you have a way that you frame cards, artwork, etc. other than using traditional frames? Please share. Neat! I have not heard of this nifty tape. I must live under a rock! Stephanie, it comes in an endless amount of colors and designs. You should buy some and give it a try.